When recycling companies learned that non-ferrous metals, like copper, can be smelted down and reformed, wire recycling became very popular. Copper is an essential component for heating and cooling systems in your home. It is also a vital metal in the manufacturing of printed circuit boards for electronic devices, as they offer exceptional conductive capabilities. Copper is a metal that is not readily available all over Canada, so it is important that as consumers we recycle all the copper we can. Wire recycling is just one step closer to a greener tomorrow! Recycling copper is great for Ontario, Canada because it helps reduce our copper dependency from other countries around the world. 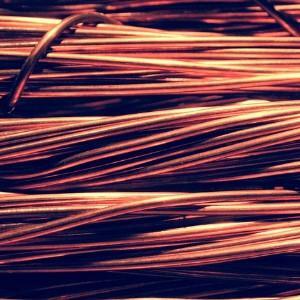 Instead of throwing out wires that contain copper and having them accumulate in landfills, recycling them helps improve any copper shortage we may be facing and helps the environment too. Copper wires that are years old are usually covered with insulation materials, these materials need to be stripped using strip rollers. At Alnor Industries, we use two machines to extract copper and other similar metals. Turbo Mill: Electrical cable grinder recovery systems help ground insulated wires into fine fragments, and help segregate the insulation materials from the copper. The wires that have not been ground will undergo the Turbo Mill process. This process helps remove the remaining copper left on the wires. Electrical Cable Stripper: The Electrical Cable Stripper is another copper extracting machine we use at Alnor Industries. This machine can strip copper, aluminum, and other non-ferrous metals from their insulation cables in seconds. This cable stripper is also capable of separating insulation material from copper, and segregating bare copper wires according to their size. Who Benefits from Recycling Wires? Everyone benefits when you recycle your wires. Recyclers will buy all of your wires that you no longer need, extract the important metals, and sell those metals for a competitive price to manufacturers of unique metal products. Additionally, when you decide on wire recycling, you are helping keep our environment safe! If you have old wires you’re looking to dispose, look no further than Alnor Industries. We have been in the business since 1978, and we are your trusted recycling professionals. Call or email us to learn more about our services.